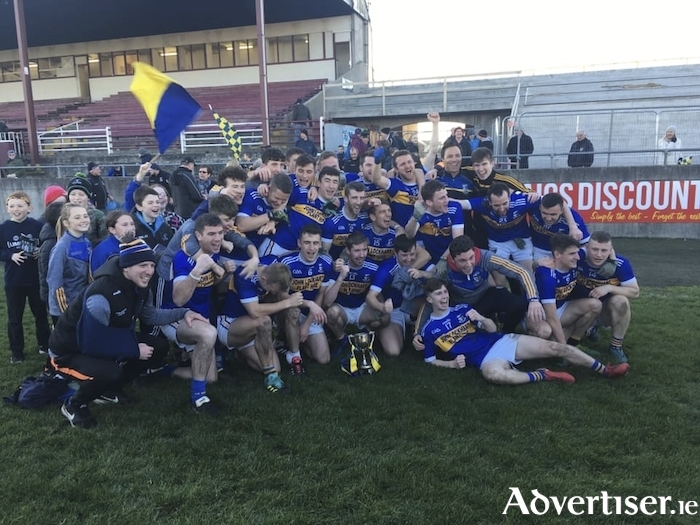 An Spidéal were crowned Connacht Intermediate Football champions on Sunday after edging out Roscommon's Fuerty by a point at Tuam Stadium. The crucial score came in the first minute of the titanic contest when Finnian Ó'Laoi went on mazy run from the 65, powering home his shot for a brilliant individual goal. Forward Antaine Ó'Laoi top scored for the Galway outfit with five points and Magnus Breathnach was accurate from the dead ball with two frees. With a five point lead at halftime and a man advantage after the Roscommon champions were reduced to 14, it looked like An Spidéal would cruise to victory but a second yellow for defender Éamon Ó’Conáin and Gearoid Ennis' accuracy in front of the posts saw the tie level with 15 minutes to go. After exchanging points, An Spidéal managed to go two points up before Niall Kilroy halved the deficit. Fuerty had an opportunity to level at the death but the otherwise excellent Ennis sent a 35 yard effort wide of the posts and sent An Spidéal's team and followers into raptures. Page generated in 0.0715 seconds.